Prime Minister Peter O'Neill officially opened the XV Pacific Games Village yesterday at the University of Papua New Guinea, Waigani Campus. The Prime Minister said after their use for athletes at the Games, the facilities will stand for decades in support of education in Papua New Guinea. "These facilities are not only going to serve these one off event of the Games, they will be passed on for the education of future young leaders and citizens of our country," O'Neill said. "There will be close to 4,000 students using these facilities into the future. "We are going to work with the university in making sure that we have the maintenance and the management of these facilities, so that we can maintain the standards we all expect. "We will not be in the culture of letting them run down and then look for things to be rebuilt. We must maintain it so that it can last a long time." During his inspection of the facility the Prime Minister met a number of representatives from games countries who were already using the facilities and he wished them well in their competition. "We must stand together and support not only our athletics but please, extend the same support to all the other athletes that are going to come and join us. "They are our visitors, and we must never forget our Melanesian way of welcoming visitors. "We must look after them, making sure that they all return home safely." O'Neill said the completion of the facilities is a testament to the commitment of the people involved to deliver the infrastructure. "Thank you very much for all the hard work that contractors and everyone involved has put in." 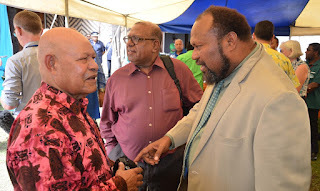 Prime Minister Peter O'Neill has asked the Minister for Foreign affairs, and the Attorney General and Minister for Justice, to engage with relevant Australian law enforcement authorities to investigate comments made by two lawyers that were aired on overseas media in the past week. Minister for Foreign Affairs, Hon Rimbink Pato CMG MP, and the Attorney General, Hon. Ano Pala MP, will now seek to have the claims, that were aired on SBS television, to be investigated in both the Papua New Guinea and Australian jurisdictions. "The comments made by the two men in question (Greg Sheppard and Harvey Maladina) are alarming and are the subject of investigation in Papua New Guinea," O'Neill said. "I have sought advice on the most effective way to have these claims investigated from all angles and now we are seeking to ensure that this process takes place in both countries relevant to the claims. "It is not for the Government to judge these individuals, and all people are innocent until proven guilty before the law, but suggestions of money laundering involving high level officials must be properly investigated. "Now I expect relevant authorities will undertake their independent investigations and pursue the course of action that they see most appropriate." The Prime Minister said beyond any legal proceedings, the claims made in the SBS story feed into an old stereotypical view of Papua New Guinea that had developed after Independence. "For decades Papua New Guinea suffered at the hands of foreign and local people who sought to take advantage of the then young nation. We called them spivs and carpet baggers and over the course of time legislation has been introduced to stop these activities. "Papua New Guinea of today is a country where there are checks and balances, where digital fingerprints are a tool of investigation and where we have access to the resources of international law enforcement to prevent illicit financial activities. "We are part of a global legal and economic system where illegal practices of the past can be identified and dealt with." The Prime Minister called for patience as relevant authorities undertake thorougher investigations. 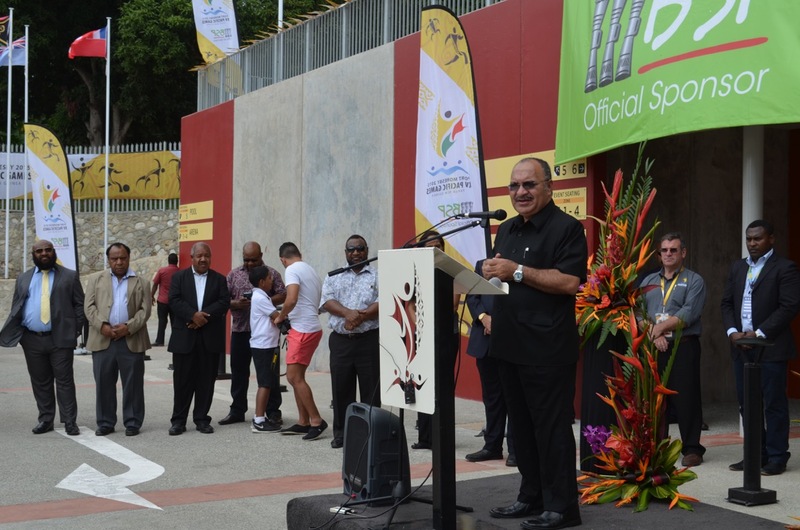 Prime Minister Peter O'Neill has officially opened the new Taurama Sporting Centre in preparation for the XV Pacific Games in Port Moresby. In opening the new centre, that includes swimming and indoor sporting facilities, the Prime Minister said as the largest Pacific Island nation, Papua New Guinea must take a leadership role. "Let us show leadership, not just in words but in deeds, to advance our region and help countries around the Pacific," he said. "The Taurama Sport Centre must be a centre for sporting excellence well beyond the Games, and draw athletes from around the Pacific to pursue their sporting dreams. "The facilities here will be here for the sporting men and women of Pacific countries to make a sporting career." O'Neill highlighted criticism made by individuals who sought to undermine the nation's chances to deliver a successful Games. "Our Government inherited the commitments of the past government to host the Pacific Games, and we had to honour these commitments. "I thank all those who have put in great effort in the hard work, leadership and delivery of the infrastructure for the games." The Prime Minister undertook a tour of the sporting centre that includes a stainless steel swimming pool. This is only one of two pool of this quality in the Southern Hemisphere, with the other being in Melbourne. Prime Minister of Papua New Guinea Peter O'Neill has expressed outrage and sadness following a series of terror attacks that occurred in France, Tunisia and Kuwait. "This is senseless violence that serves no purpose," O'Neill said. "We offer our thoughts and prayers to the families of the victims of these attacks. "People from the United Kingdom, Kuwait, France, Belgium, Tunisia and Germany are known to be among the dead and injured, and to each of these countries, Papua New Guinea offers its sympathy and support. "These attacks, that have occurred during the Muslim holy month, are particularly disheartening to people in the affected countries. "In our places of worship, I hope Papua New Guineans will pray for the families of those affected by this violence." Prime Minster Peter O'Neill has welcomed the visit by the Chairman and Chief Executive Officer of ExxonMobil Corporation, Rex W. Tillerson, and senior executives who visited Papua New Guinea this week. The Prime Minister met with Tillerson at a welcome function in Port Moresby on Wednesday, where Tillerson introduced the board of directors who had travelled from the United States. O'Neill thanked the ExxonMobil executives for the contribution the company has made to national economic development. "On behalf of our Government and the people of Papua New Guinea, I would like to thank you for your commitment to our nation," he said. "Your board of directors, management and staff have demonstrated your confidence in our country and this has delivered a world-class project for Papua New Guinea. "This project has been delivered ahead of time and on budget and we appreciate your dedication to achieving this outcome." The Prime Minister said ExxonMobil had demonstrated a clear understanding of the practicalities of working in a land as diverse as PNG. "We appreciate the approach you took in dealing with landowners and other stakeholders. "This was respectful and engaging, and the project was better for these considerations." O'Neill said one of the important benefits of the construction phase was the chance to increase the skill levels of workers involved in the project. "What has made a difference for us is the quality of work that has been developed under your guidance. "Thousands of people who worked on the PNG-LNG construction phase have increased their skill levels. "Many have now moved on to other jobs where their new skills have been recognised and they are taking home a higher income for their families. "This increased skill level further adds to economic growth and has led to an increase in the quality of work in many sectors related to the LNG project. "Ultimately, the partnership we have with ExxonMobil is strong and is based on mutual trust and we look forward to a long term engagement with your company." 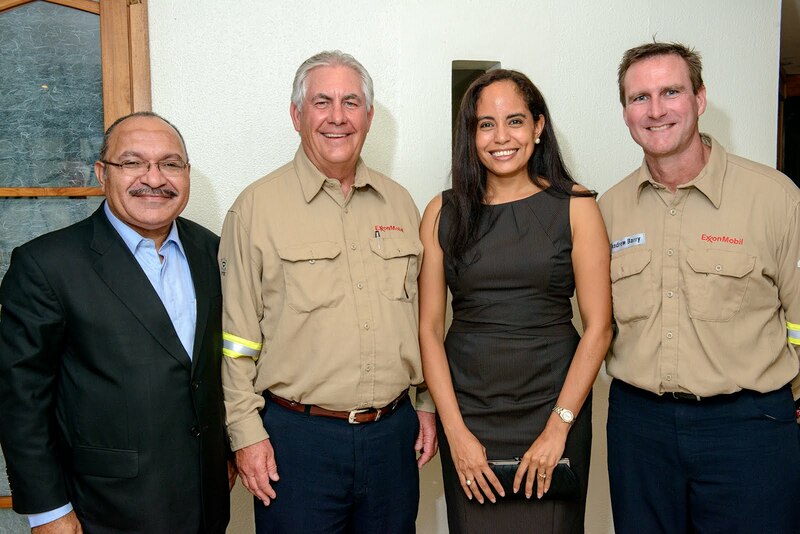 The visiting delegation visited some of ExxonMobil's operations in PNG. ExxonMobil Corporation employs around 75,000 globally. Their operations in PNG employ more than 2,100 people, with 70 percent Papua New Guinean. The Special Representative of the Prime Minister of Vanuatu. Firstly, let me take this opportunity to thank the Government of Solomon Islands for hosting this very important meeting for the Melanesian Spearhead Group Leaders. It has been a successful meeting. One we feel is historic in nature. This is a region that is starting to capture some of the challenging issues Melanesian countries have had for many years. We are a group that thrives on potential and thrives on consultation, living as one Melanesian Community in the region. But we have to be responsive to the issues that are brought up to the Leaders by our communities. As a Melanesian Group, it is important that we hear what our communities are demanding. Today's decision to include our Melanesian brothers and sisters from Indonesia is one that is very historic. We, hereby, welcome them to our Melanesian Family. As everyone else in the region, we want the same things. We want peace, we want security and we want better standards of living for our families. It is important as a region that we continue to work together in achieving goals that our people expect of us. Papua New Guinea is achieving many of the security that it requires for the better standards of living for its people through many initiatives our government has been implementing over the last three and a half years. Our government continues to grow on an average of 9% per annum over the last 14 years. That is enabling us to address many challenges like education, health and infrastructure development, with a given population rise, which I must frankly say, is quite challenging. But, Papua New Guinea has been able to put an extra one million children to school over the last four years. Papua New Guinea is expanding its health care to many remote communities throughout the country. Papua New Guinea today is investing more in infrastructure than it has ever done in history – investing close to 30 per cent of its budget. Papua New Guinea is putting close to 25 per cent of its budget into rural communities, directly to the districts throughout the country. As a result of that, we are lifting the standards of living for our people. We are educating them, we are providing them with better health care and that is a desire, I know, all Melanesian countries in the region want. 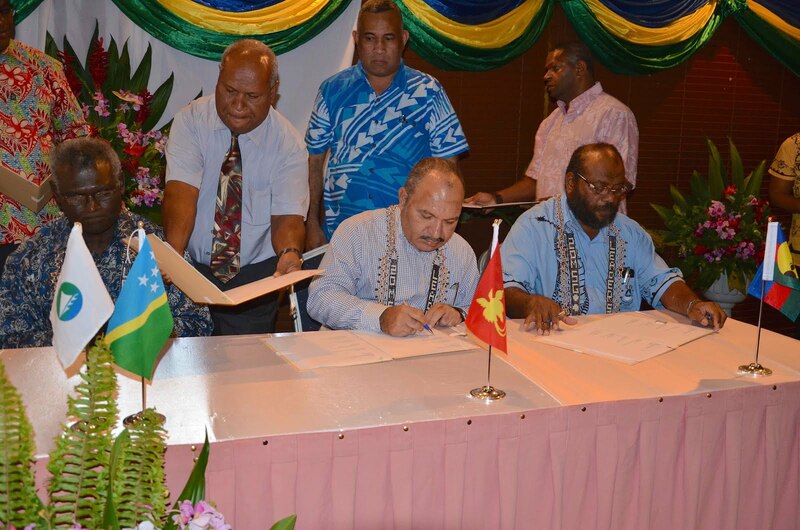 We want the same for our brothers and sisters in the Melanesian provinces, across the border. That is why today's decision is an historic one, that we should be proud of, and I also want take the opportunity to thank the Indonesian Government for the strong support that they have given in some of the ways forward that we are seeking. And, of course, we thank all the officials, who have worked tirelessly in ensuring that we come to an amicable arrangement. This is just the start, where I know, more can be achieved by working together with many of our partners and, of course, many of our neighbors. Finally, Papua New Guinea, is going to host some major regional events in the next few months and years. We are going to host the Pacific Games, next month, and I expect to see each and every one of you in Papua New Guinea. We look forward to welcoming you. It is going to be a first-class Pacific sporting event. We have also invested substantial funds into getting first-class infrastructure for you to enjoy. We are also going to host the 46th Pacific Islands Forum Leaders' Meeting in September this year between 7th and 11th. Please come and join us so that we can address the challenges we face as a region. In 2018, we are going to host 50 per cent of the world's economic leaders, representing 22 countries in the Asia Pacific Economic Corporation (APEC), which will be held for the first time in the Pacific. Again, we expect all the Pacific Island Leaders to come and join us so that we can together and voice our concerns of the Pacific to the rest of the global community, so that it can be heard. Tomorrow, Papua New Guinea will be opening its Papua New Guinea Chancery here and we look forward to you joining us in that occasion also. Once again, thank you very much to the Prime Minister of Solomon Islands and its leaders, its Cabinet, its government for hosting this very successful meeting and we look forward to seeing you all, next month, on July 4 and in September. "Today is very a important day for peace and goodwill for our Brothers and Sisters living in Indonesia's Melanesian provinces," Papua New guinea's Prime Minister, Peter O'Neill said as he left the meeting of Melanesian Spearhead Group Leaders in Honiara. 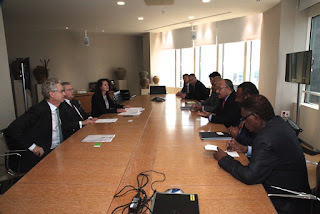 "Following discussion between the Leaders of Melanesian Spearhead Group countries, the groups has decided that Indonesia is to be admitted to MSG as an associate member, and be represented by the elected leaders of these Melanesian provinces. Further to this, the United Liberation Movement for West Papua (ULMWP) will be given observer status as a development partner representing the welfare of Melanesian people living outside.
" Papua New Guinea welcomes the decision that reaffirms representation at the sub-regional level must be made by mandated leaders that have been elected by their people. "This decision by MSG will pave the way for Indonesia and Papua New Guinea to engage in consultation within the framework of agreement with Indonesia. "I look forward to having deeper conversations with Indonesia and in the true spirit of being part of a regional family. "We are all partners in facilitating peace and security in our region. "I believe we have the respect of Indonesia for the honesty and genuine nature of our offer to offer cooperation on this sensitive, issue. I further believe that groups such as ULMWP appreciate that our intentions are genuine. "Soon after coming to office I began a dialogue with then President Susilo Bambang Yudhoyono and now continue with President Joko Widodo." Expanding engagement with and empowering Papuans living in Indonesia to be more active in the regional economy is one of the main tropics of discussion at the 20th Melanesian Spearhead Group (MSG) Leaders' Summit taking place in Honiara, the Solomon Islands, today. Prime Minister of Papua New Guinea, Peter O'Neill, arrived in Honiara today saying he is looking forward to fruitful discussions with his counterparts. "I have expressed my concerns in relation to the protection of life and the preservation of communities for our Papuan Brothers and Sisters in Indonesia," O'Neill said from Honiara. "All parties to these MSG discussions appeared to arrive with the similar outlook - a shared perspective that we need to have clear and open dialogue in order to advance these issues. "I anticipate this spirit of engagement will continue and we will work together to alleviate concerns." The event has the theme "Building a stronger Melanesia in the Pacific where peace, progress and prosperity is ensured and sustained for all." Another issue to be discussed include expanding connectivity through increased transportation linkages between MSG countries. Leaders are also looking at ways to further increase MSG engagement on social, cultural and environmental issues. "MSG remains a very important sub-regional forum. "Our island countries are of similar outlook and we have shared concerns when it comes to how we will be affected by climate change or a disaster such as a pandemic virus. 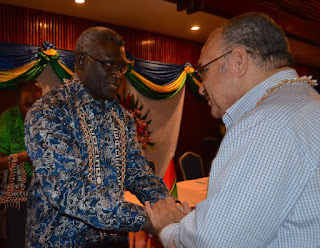 Prior to the Leaders convening their Retreat, the outgoing Chair from FLNKS,' Victor Tutugoro, held an official hand-over ceremony for the incoming Solomon Islands Prime Minister, Manasseh Sogavare as the Chair. The brief ceremony was witnessed by the other three Leaders, including O'Neill, at the Heritage Park Hotel. O'Neill is expected to officially open the Papua New Guinea Chancery in Honiara, tomorrow followed by the presentation of K20 million grant-in-aid. HONIARA: Minister Public Enterprises and State Investment, Hon. Ben Micah, yesterday arrived in the capital of Solomon Islands to attend the official opening of the 20th Melanesian Spearhead Group Leaders' Summit. The opening ceremony was held at the Solomon Islands National Museum Outdoor Auditorium, where many unique traditional dances and cultural exchange of gifts were conducted in the true Melanesian Spirit. 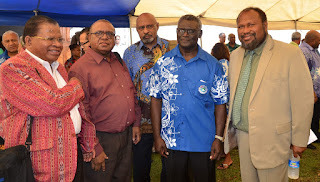 Minister Micah attended the ceremony on behalf of Prime Minister Peter O'Neill, who was unable to make it due to other important national commitments. 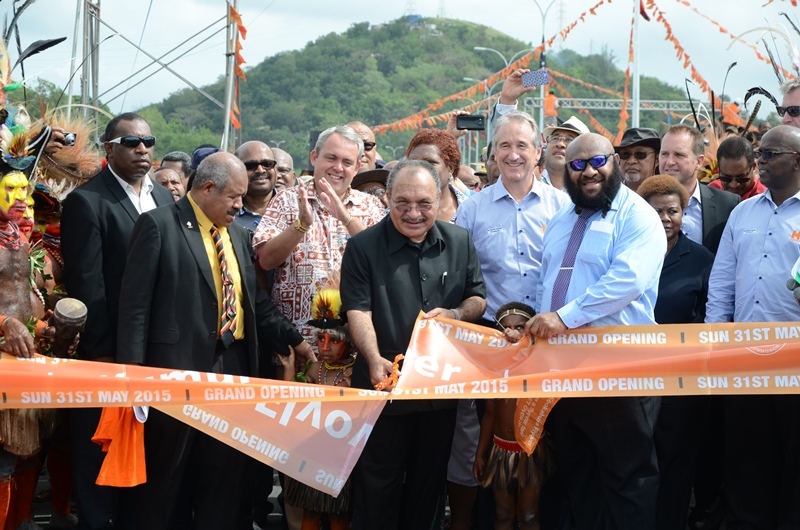 "I am humbly honoured to have attended this opening ceremony on behalf of Prime Minister Peter O'Neill, and in representation of the people of the Independent State of Papua New Guinea," Micah said. 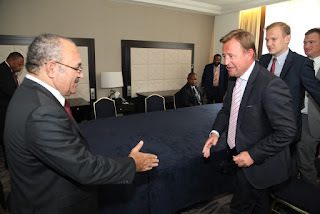 He also expressed PNG Government's ongoing efforts in further enhancing connectivity and cooperation with all the MSG countries throughout the region. Micah was later in the day joined by the Minister for Foreign Affairs, Rimbink Pato, where they attended a State Dinner hosted by the Solomon Islands Prime Minister, Manasseh Sogavare, at the Honiara Hotel. O'Neill arrives in the Solomon Islands today to attend the actual MSG Leaders Summit, including the Leaders' Retreat and the Plenary, in the coming days. HONIARA: The Foreign Ministers' Meeting (FMM) has been successfully concluded and preparations for the 20th Melanesian Spearhead Group (MSG) Leaders Summit are currently underway. During these preparations, recommendations have been developed from related meetings including measures to further strengthen the MSG 2038 Prosperity For All Plan, and the observers and associated members' status, which will be submitted to the MSG Leaders for their consideration. 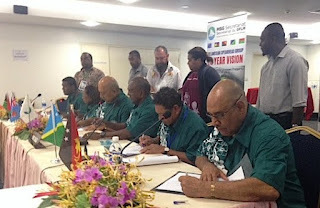 Representing Papua New Guinea at the FMM was the Acting Secretary for the Department of Foreign Affairs, William Dihm, who participated in the conclusion and signing of its outcomes. "MSG continues to remain a significant forum to promote collective sub-regional agendas of the group within the framework of the MSG 2038 Prosperity For All Plan.
" Thus, I thank the hard working members of the recently held Senior Officials Meeting for deliberating on the issues and setting the agendas for the Ministers, also aligned with the very fitting theme for the 20th MSG Leaders' Summit and other related meetings," Secretary Dihm said. 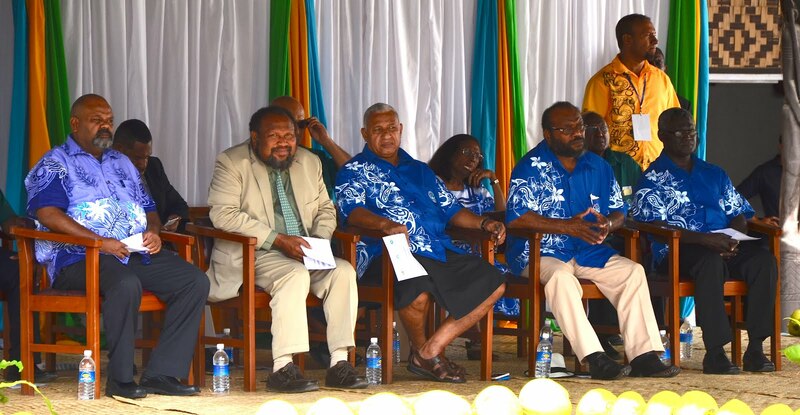 He said the theme 'Let us build a strong Melanesia in the Pacific where peace, progress and prosperity is ensured and sustained for all' reinforces PNG's desire to practically and meaningfully assist in the implementation of the various programs undertaken by the MSG Secretariat. "PNG will continue to work closely with all regional partners including the MSG through constructive engagement and these include extending development cooperation to Small Island states, business, cultural integration, education and employment opportunities, consistent with our fundamental Melanesian principles of sharing and caring. "We are also aware of the MSG Secretariat's plans to open up more economic corridors to advance and promote trade, investment, business and tourism opportunities, among MSG countries," Mr Dihm said. On the PNG-Indonesian relations, Mr Dihm said it remains complex given the wide range of issues affecting the two countries; nonetheless, our already robust ties have continued to be enhanced over the last 40 years. "On the issue of MSG membership, we have noted the recommended processes guiding the screening potential of applicants and that their admission must be addressed responsibly so as to foster cooperation and connectivity and be endorsed by the MSG leadership," Mr Dihm said. He also acknowledged that the Port Moresby Declaration signed by the MSG Trade Ministers during their meeting in November 2014 underscores the significance of connectivity through aviation and shipping links and reiterated PNG Government's commitment to support in funding the MSG shipping study to give effect to this declaration. The official opening ceremony for MSG Leaders' Summit will be held today (24/06/15) at the National Museum Outdoor Auditorium in the capital of the Solomon Islands, where the Solomon Islands Prime Minister Hon. 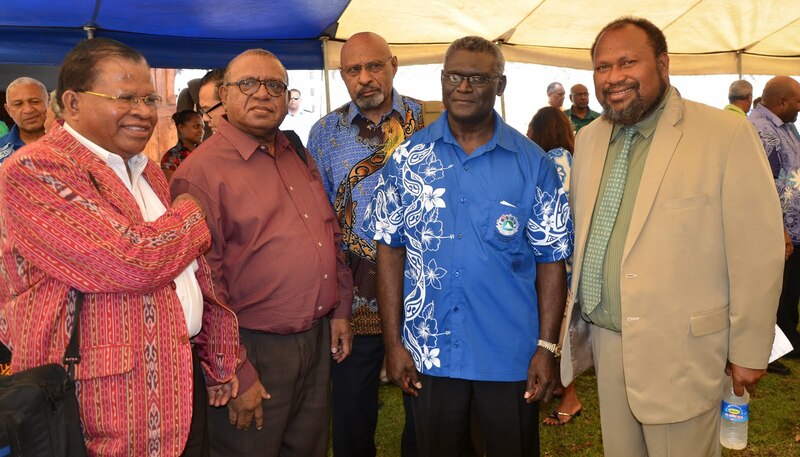 Manasseh Sogavare will officially welcome the MSG Leaders. The 20th MSG Leaders' Summit commences tomorrow at the Heritage Park Hotel. 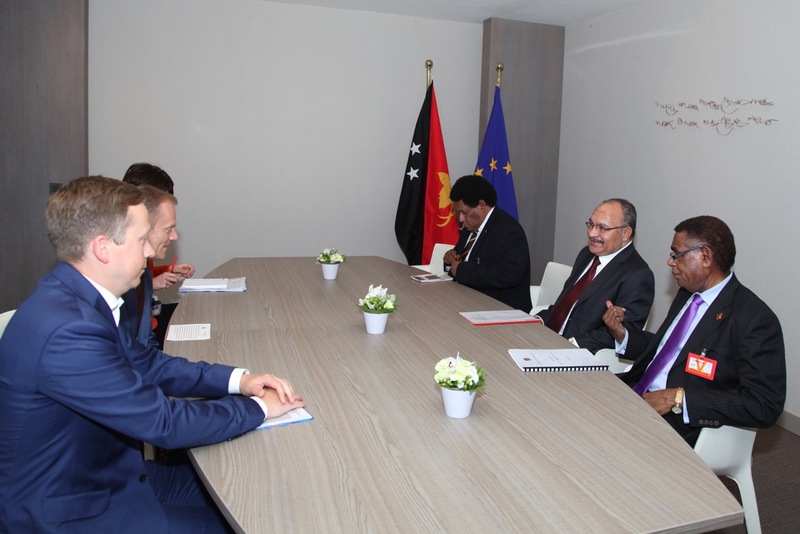 Creating more jobs for Papua New Guineans will be a positive outcome of advancing the nation's engagement with Europe during the Prime Minister's visit to Brussels and Paris over the past week. In the course of the visit, Prime Minister, Peter O'Neill, met with a range of business representatives and the President of the European Council, Donald Tusk. These meetings also included a business breakfast, hosted by the French Business Confederation, with 30 representatives from companies interested in initiating or expanding their operations in PNG. "There is significant interest in Papua New Guinea from the business community in the cities our delegation visited, and we must convert that interest into tangible business engagement," O'Neill said. "We cannot think of Europe as being too far away to matter. 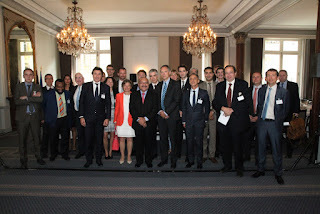 "Europe offers a important market particularly for our agricultural products. "There is also tremendous potential for strategic partnerships in areas that include banking, energy and resources. "In my meeting with senior executives at Total S.A., they reaffirmed their commitment to developing the third train of LNG in Papua New Guinea. 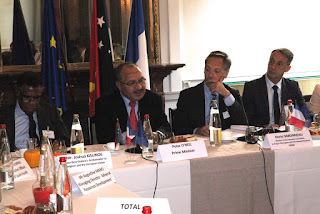 "Total is a great example of a European company that recognises the potential for investment in Papua New Guinea. 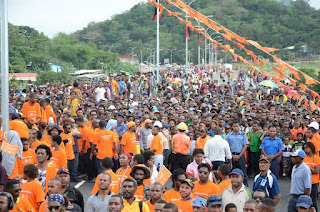 "Total is already employing Papua New Guineans and foreign workers and this number is expected to reach 10,000 at the peak of the construction project. "With one of the fastest growing economies in the world and being a country with ongoing political stability, businesses are interested in investing at Papua New Guinea." The Prime Minister said his meeting with European Council President, H Donald Tusk, also provided an opportunity to deepen and widen interaction on important issues. This includes European concerns in relation to fisheries. 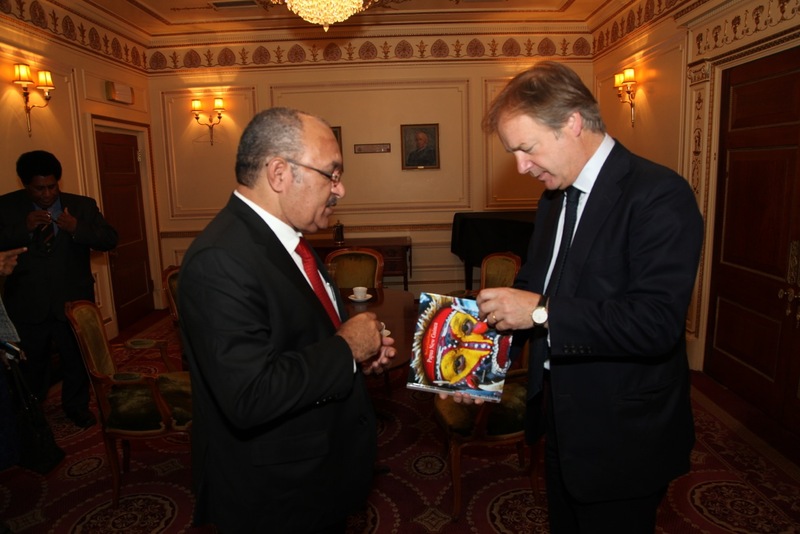 "We discussed action being taken in Papua New Guinea to combat illegal fishing," O'Neill said. "Papua New Guinea takes these concerns seriously and we are making improvements in our internal systems. "Both the European Union and Papua New Guinea want to deal with illegal fishing and we are cooperating to achieve a positive outcome. 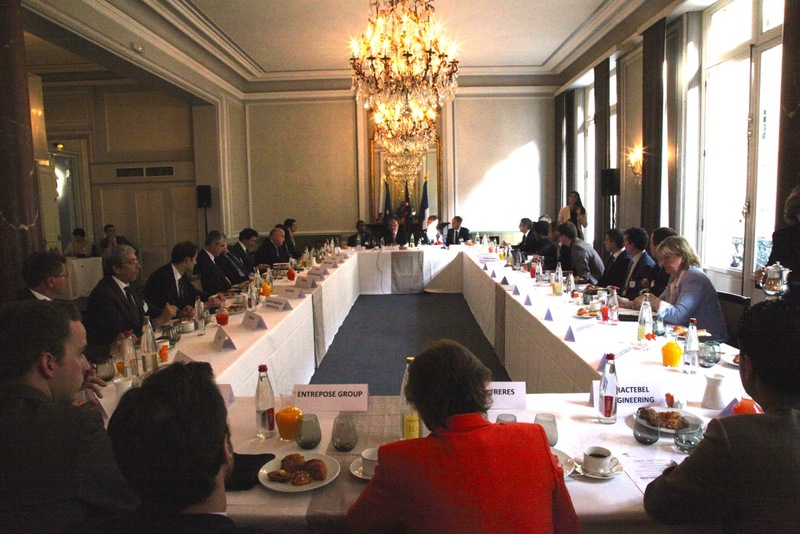 "President Tusk and I further had the opportunity to further discuss visa issues. 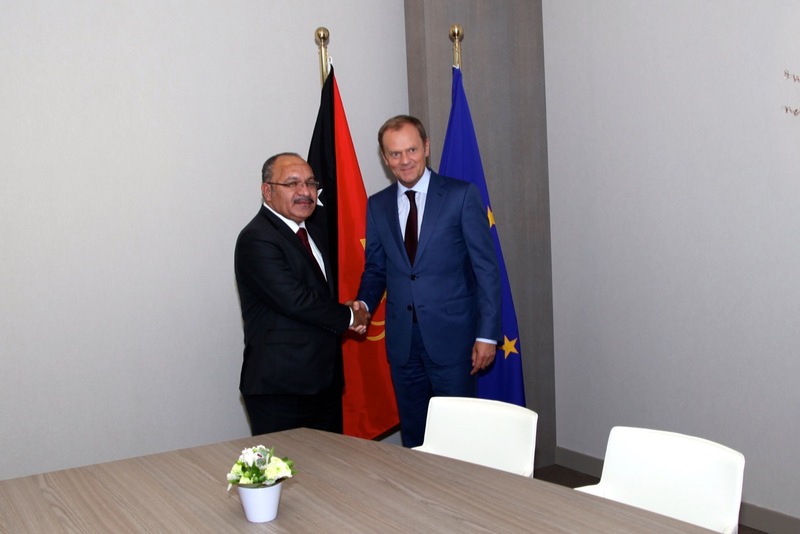 We are working towards having improved visa arrangements for Papua New Guineans travelling to EU countries." 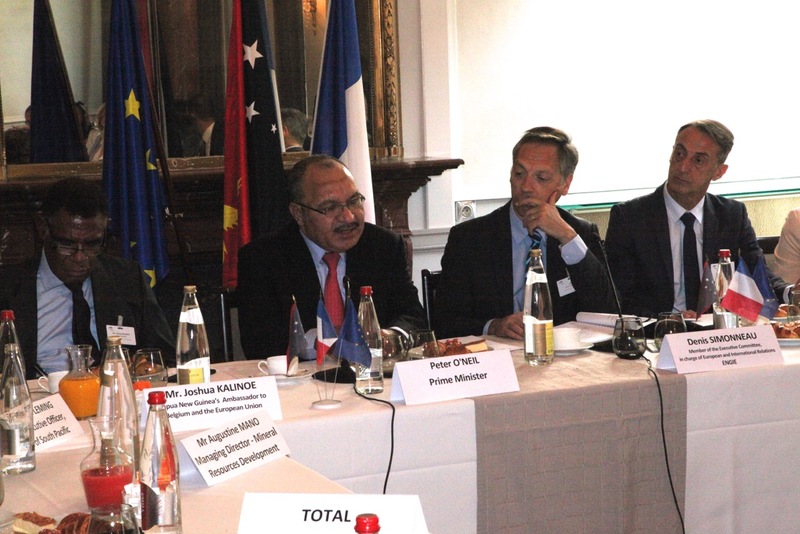 The Prime Minister said following the success of the UK-PNG Trade and Investment Forum last week, and the positive reception in Paris, future forums are likely to include France. "Next year we are looking at the trade and investment forum being held in Paris and alternate this with London each year." The Prime Minister thanked the Governments of Belgium and France for their support in facilitating the visit that took place on 17-19 June 2015. Professionals are now better equipped to deliver essential services to survivors of violence, following a two-week workshop held in Port Moresby. Spearheaded by the Office of the Public Prosecutor and funded by the Australian Government, the workshop involved OPP victim liaison officers, police officers, members of the national government and non-government organisations working together to strengthen skills, knowledge and collaboration in delivery of services for survivors of family and sexual violence crimes. "We must all work together to ensure that perpetrators of this crime are brought to justice, and survivors can access not only justice but protection and recuperation," said Deputy Public Prosecutor, Timothy Ai. Counsellor Michael Sloane of the Australian High Commission, said violence is one of the largest barriers to gender equality. "PNG and Australia recognise that one of the best ways to promote economic growth and stronger, more prosperous communities is to empower women and girls," said Sloane. "Women who are economically secure can better access education and health services, and have expanded opportunities to take on leadership or decision-making roles in their communities and workplaces, boosting economic and political participation." The workshop was attended by 25 participants and facilitated by the Fiji and Vanuatu Women's Crisis Centres in partnership with the PNG-Australia Law and Justice Partnership – Transition Program. More than 300 business leaders, from the United Kingdom, as well as Europe and the United States, have been given new insight to the economic growth of Papua New Guinea and potential returns on investment. 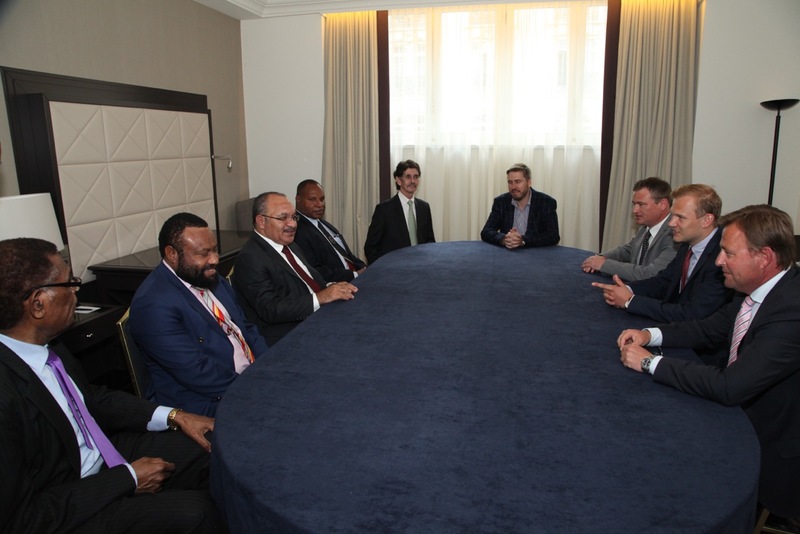 In his keynote address at the inaugural United Kingdom - Papua New guinea Trade and Investment Forum in London on Tuesday (pictured), Prime Minister Peter O'Neill provided perspective to ongoing economic development. "Stability, responsible management and growth is what we offer to you," O'Neill told the opening session of the forum. "These policies relate to free education, universal healthcare, improved law and order, and infrastructure development. "The opportunities in Papua New Guinea are better than they have ever been. "Papua New Guinea is open for business and I invite you and your colleagues to join with us is maximising these opportunities." 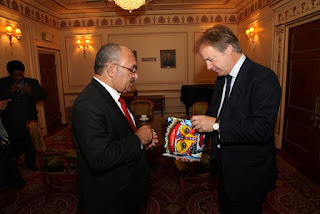 O'Neill highlighted the relevance of political stability and the independence of national institutions in Papua New. "Our democracy remains a beacon of stability that is lacking in many developing countries. "Stability is what that the country requires so that economic growth will continue as we give confidence to the business community. "Alongside a stable political environment in Papua New Guinea, we also have an absolutely independent judiciary. "The Central Bank is fiercely independent – as the Governor's statements on the economy continue to demonstrate. "The Central Bank has made tough decisions but this ensures inflation is manageable, exchange rates are not subject to large fluctuations and interest rates continue to remain stable. "Our leading national institutions are strong, independent and are shining examples of stability." The Prime Minister provided perspective on the challenges that nation has faced over the past four decades particularly when it comes to service delivery in remote and regional areas. "An important change we have made is to genuinely devolve decision-making away from the capital – to empower the levels of government closest to the people. "This is principally district level administrations and local and village councils. "That is bringing our democracy and the delivery of government services even closer to the people - especially our rural majority." The forum was attended by senior managers from the financial and business sectors who were given the opportunity to engage directly with ministers and senior departmental officials to gain a stronger understanding of the potential offered by investing in Papua New Guinea. Prime Minister, Peter O'Neill , had a private audience with Her Majesty, Queen Elizabeth II, (pictured)at Windsor Castle in the United Kingdom on June 16. 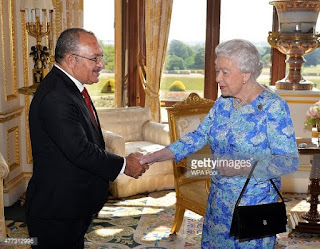 The audience took place in what is known as the "White Room" in the castle and afforded the Queen and the Prime Minister an opportunity to share perspectives of significance for Papua New Guinea and the Commonwealth. The Prime Minister said it is not protocol to discuss the specific details of the audience with Her Majesty, but he said he was again impressed the Queen's depth of knowledge and fondness for Papua New Guinea. "Her Majesty is very familiar with the history as well as current developments in Papua New Guinea," O'Neill said. "The Queen has visited Papua New Guinea in the past, many years ago she sailed to the country on the Royal Yacht Britannia. "I hope that Her Majesty does have the opportunity to travel to Papua New Guinea again before long. "Though we recognise that there are a number of countries that would also appreciate visits and she is not as able to travel as often as she did in the past." The Prime Minister said the people of Papua New Guinea have a special place in their hearts for the Queen and the Royal Family. "Most people have spent their whole lives only knowing one Monarch and they have great respect. "I appreciated Her Majesty affording me time to meet with her on this visit to the United Kingdom." The Prime Minister also met with His Royal Highness, the Duke of York, Prince Andrew while at Windsor Castle. He said they discussed regional issues of interest, and Papua New Guinea's hosting of major events including the Pacific Games as well as the Pacific Islands Forum Leaders' meeting immediately before Independence celebrations. "Price Andrew has visited Papua New Guinea several times in the past and was with us for the opening the then South Pacific Games in 1991. "He has fond memories of his visits to Papua New Guinea and he has travelled around our country. "The Duke of York also was also well aware of a number of regional issues that are of importance to Papua New Guinea and the Commonwealth. "I look forward to furthering this discussion in the future." Port Moresby Chamber of Commerce and Industry has commended incoming Commissioner of Police Baki for his comprehensive and detailed statement on how he wishes to bring over-arching change , discipline and accountability to the force . "He will clearly need the full support of rank and file , government and the business community – and he will certainly get the latter ," said POMCCI chief executive officer David Conn.
"We have to say that we felt a door had opened for radical change of the hierarchy of our police force , but the government in its wisdom has decided not to take this course , and we naturally respect this . "Any Commissioner needs a reasonable term of office to implement the modernisation programme that the RPNGC clearly needs and the government should consider giving him a team of , experienced , professional police officers to implement such reform . "The Commissioner's comments on uniforms are welcome and long overdue , but we still strongly believe all officers should carry name badges on uniforms and be clearly identifiable . If this had been done , we might not have the situation at Hanuabada where it has been apparently impossible to identify officers concerned, in broad daylight . "While we understand the added security around the 2015 Games , it is apparent that road blocks have gotten out of control and are too often an opportunity for malfeisance and standover tactics by rogue officers seeking illegal and outrageous on-the -spot fines , which have no basis in law. "Properly established and clearly identifiable roadblocks should only be allowed with specific approval , and under the supervision , of a senior officer . "It is a sad reality that many of our city residents are more intimidated by the very police officers who have sworn an oath to protect them , than the criminals. "Women , especially at night , are facing regular intimidation , and threat of arbitrary fines or imprisonment by police officers . "The Chamber has issued an invitation to Commissioner Baki to address the business community in the city at one of its regular breakfasts and sincerely hopes he will take us up on this and consider a proposal we have put to him to form a consultative committee , along the lines of the Law and Order Committees all major centres in PNG used to have ." My name is Vinzealhar Nen, I am Jacqueline Tanda's daughter. I am a first year pre med student in the States and one of the requirements to secure scholarship is to publish an article in a newspaper or a widely read blog. I have written on climate change due to my role as YACA President and an active member of 350 Pacific., I am an active eco warrior and hope that through my work I can inspire my people of PNG to also be aware and active. Is it possible if you can publish my article on your blog before the 1st of June? Papua New Guinea is a country blessed with natural scenery and land fertility in relation to our natural non-renewable resources. For decades PNG soil has been mined for these natural resources, which include; gold, copper, oil and others. In regard to mining activity there are policies written and implemented by the government of Papua New Guinea as well as international mining companies who operate within PNG. Of all policies put in place to ensure safe and reliable mining there is none put in place in terms of a tailings dam being made a requirement. A tailings dam is used to dispose mining waste responsibly especially since mining waste consists of a high level of cyanite. Cyanide is a substance found in mining waste in large quantities, this material is highly toxic, poisonous and is well known for effectively wiping out eco systems. Currently in PNG there is no policy protecting our seas from mining waste products. Due to a policy of such nature being absent, what happens is that mining companies pump all their wastes into the ocean as a way of discarding their rubbish. Thus destroying marine life and also polluting our waters causing the effects of climate change to accelerate in our country. Papua New Guinea as an island nation we are at great risks of being victims to climate change. As a result of careless waste disposal our marine biodiversity is threatened. By mining and burning of machinery the burning in the ozone layer increases. Causing ice bergs to melt therefore sea levels rise as a result of such activities. The current government in power need to make choices. These decisions have to be beneficial and wise. People who have lived around the mining areas are the ones likely to suffer from the effects of climate change as well as settlers living along low lying islands. Leaders need to take on board the views of the landowners as they have that right to be heard. We do not want our nation to undergo another bouganville crisis, due to the government ignoring the opinions of the Panguna mines landowners. Nor do we want our country to be like Ok Tedi, Western Province where because the people are submissive their land is deteriorating around them. Upcoming mining areas such as Watut in Morobe need to talk with the government to ensure that a tailings dam policy be made a compulsory requirement. At the end of the day Papua New Guinea is our home and we need to keep it safe. Miners want to operate on our land we make the rules and they abide, despite practises being expensive we need to realise that its worth it. By taking such steps we are preserving our country another day from being submerged. Most importantly sensible decisions as such save Planet Earth. Papua New Guinea has opened the latest part of significant national infrastructure with the formal opening of the "Kumul Flyover" in Port Moresby on Sunday, May 31. 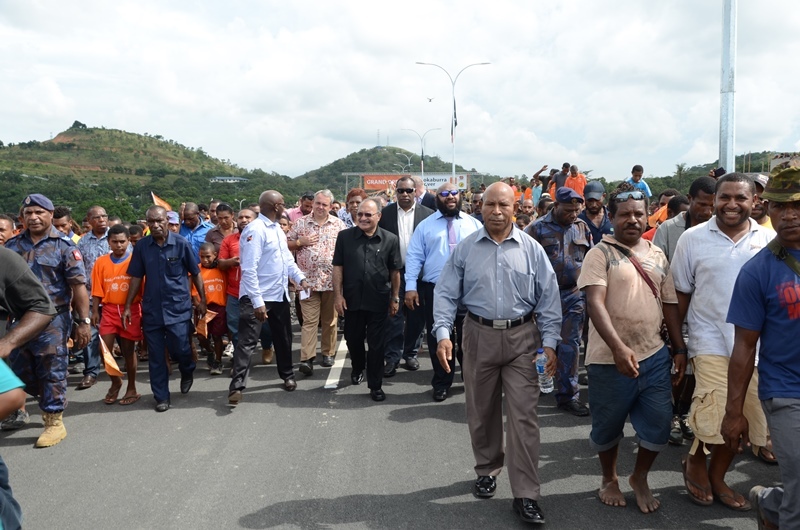 In opening the flyover, the Prime Minister, Peter O'Neill, congratulated all who had contributed to the project, and sent a message to those who are stuck in the past to embrace modern Papua New Guinea. "This significant infrastructure project that has been delivered on budget and on time," O'Neill said. "As the government opens this flyover, we are delivering infrastructure in many other parts of the country. We are spending record amounts of money to build infrastructure right across that country. "This includes Lae – that was once the pothole capital of the world. We have built concrete roads and Lae is becoming the concrete capital with strong roads that will last for decades." The Prime Minister said investments in infrastructure, education and Health are changing the lives of communities and people throughout the country. "Today we are here to say we on a new path for Papua New Guinea that will see Papua New Guinea taking its place not only in the region and in the Pacific but within the global community. "This flyover infrastructure is part of ongoing progress. "We are very proud to be here today, joining our Governor, our Ministers, our Hawkins Group partners and all the sub-contractors and the workers who built this. "There were many critics, who continue to refused to believe that Papua New Guinea is changing. Even when they see infrastructure all around the country, more employment and large project, these people choose to criticise. "But we are a patient people. We will keep building infrastructure and advancing the nation." The Prime Minister said in a few weeks Papua New Guinea will be hosting the Pacific Games and that is the time to showcase the best of the country. "I thank the Governor and his team for geting this city ready for the games. "When people travel over this flyover for the Games and the Pacific Islands Forum they will see how this country is changing." Finally the Prime Minister announced the name of the flyover was being changed from the working name that has been used. O'Neill also renamed the Kookaburra Flyover as the Kumul Flyover to reflect the country as truly Papua New Guinean. "I think that it is important that we name this flyover with a name that is reflective our country. Today we will name this the Kumul Flyover. 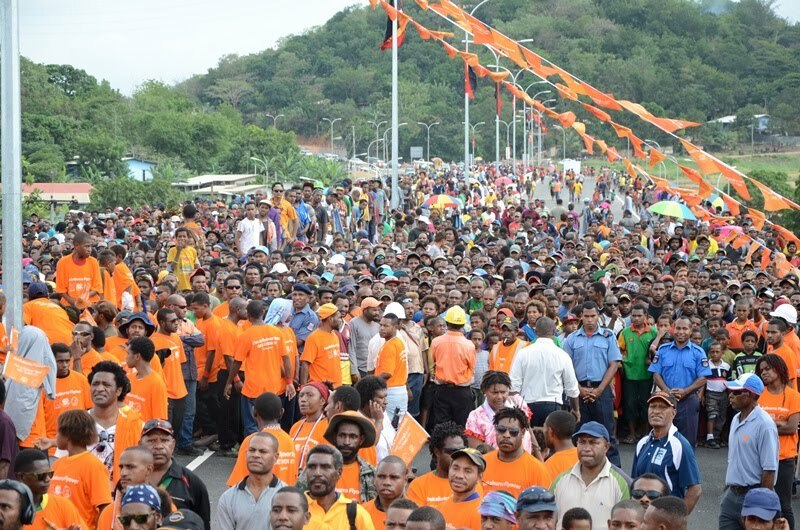 "As part of this, all the way from Port Moresby City to Nine Mile will be named the Kumul Highway." There to witness the occasion were thousands of members of the public, as well as National Capital District Governor, Powes Parkop, Member for Moresby North-East Labi Amaiu, Minister for Sports and Pacific Games Justine Tkatchenko, Minister for Public Service Sir Puka Temu and Minister for Communications Hon Jimmy Miringtoro.